It’s time to stand up for a better gender balance in architecture and engineering. While other professions have increased their proportion of women, our industries have remained stubbornly male-dominated, especially at senior levels. The Diversity Agenda is about driving change in New Zealand’s engineering and architecture firms. It started as a partnership between Engineering New Zealand, the New Zealand Institute of Architects and ACENZ – and nearly 80 firms have already come on board. Our goal is to get 20 percent more women in engineering and architecture roles by 2021. We’re here to challenge the status quo in engineering and architecture. We’re addressing the real issues that hold people back, like retention and promotion of women, equal pay and a modern work culture that benefits everyone. At the Agenda’s core is a clear target: 20 percent more women in engineering and architecture roles by 2021. It’s a goal which gives all organisations something to commit and measure up to. The leaders of tomorrow are waiting for you to act. Now’s the time to start. 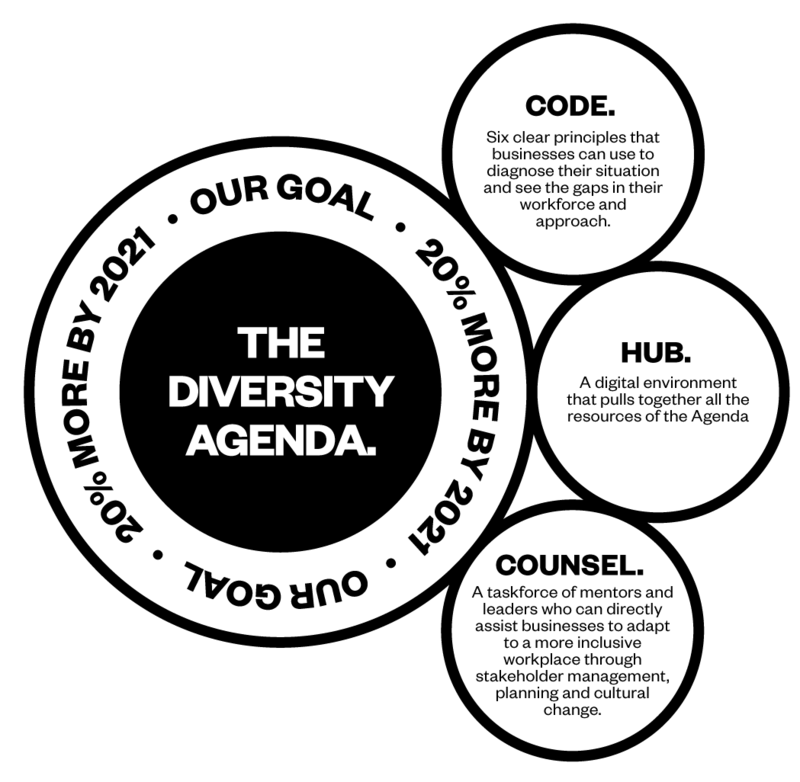 Sign up to the Diversity Agenda and commit to our goal: #20for2021.